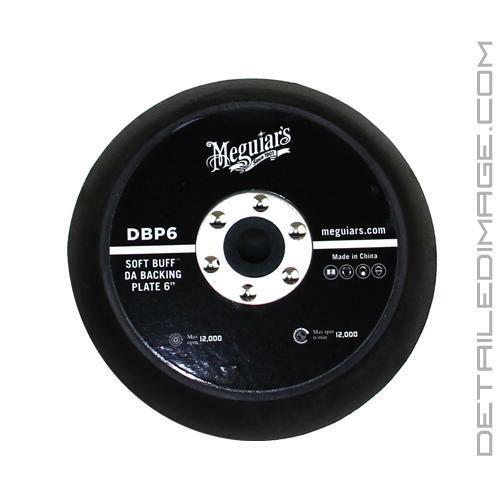 The Meguiar's Soft Buff DA Backing Plate was designed to work with the MT300 Dual Action Polisher and will work great with virtually all other Dual Action buffers. Simply screw this backing plate into the DA buffer and you are all set to use any pads of your choice. We recommend using the Meguiar's Soft Buff Discs (listed below) for optimal results. Meguiar's highly recommends this backing plate because of the short hook and loop it utilizes. This helps any pad or disc you are using sit snug to the backing plate, which reduces the amount of heat on the surface for safer buffing. 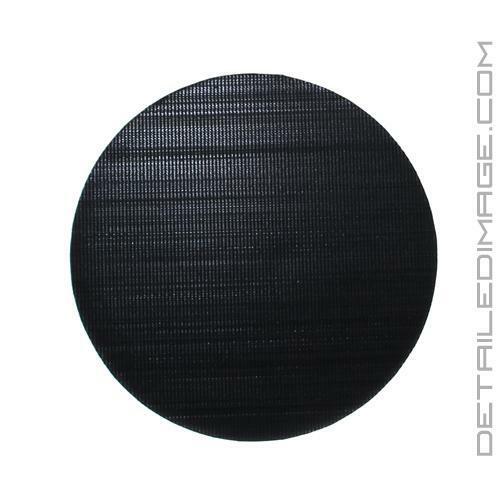 The Soft Buff DA Backing Plate features a fiberglass core and additional rivets for strength. This allows the backing plate to flex on curves, while still staying strong and durable. The rotation indicator helps you determine when the backing plate is bugging down and stopping during polishing. No matter the size of the pad you are using (comes in 3", 5" and 6"), this is the backing plate for you! Cutting Disc (Red) - Great for removing heavy to medium imperfections quickly and easily! Polishing Disc (Yellow) - Great for removing medium to light imperfections. You will see an increase in polishing power with your favorite compound or cleaner, however a great finish with less haze will be left behind as well. Finishing Disc (Black) - This finishing disc will remove light imperfections and deliver a better finish overall with your favorite finishing polish!